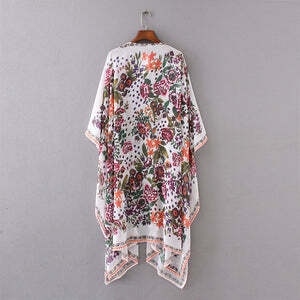 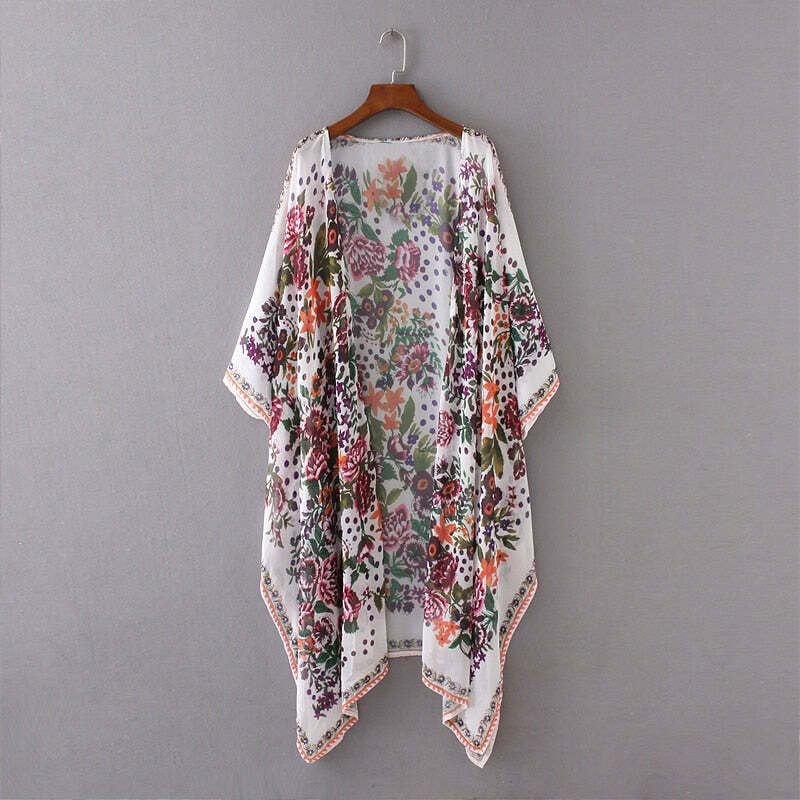 It is overall flowery printed boho kimono for a real bohemian chic. 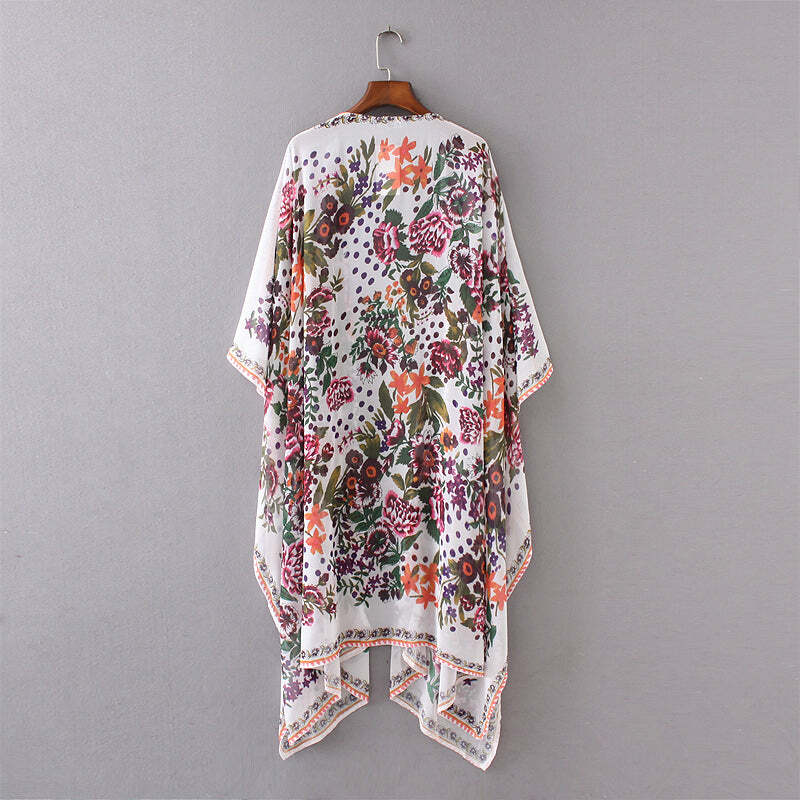 A lady can also use it to cover her body on a beach. 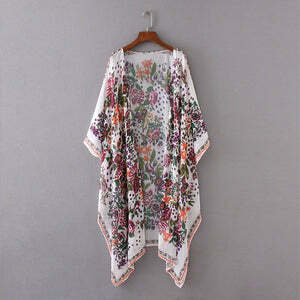 The stunning design of this stunning bohemian kimono is must have for all hippie girls.